I’m back with my third card using products from Penny Black‘s latest catalogue called Sweet Spring. 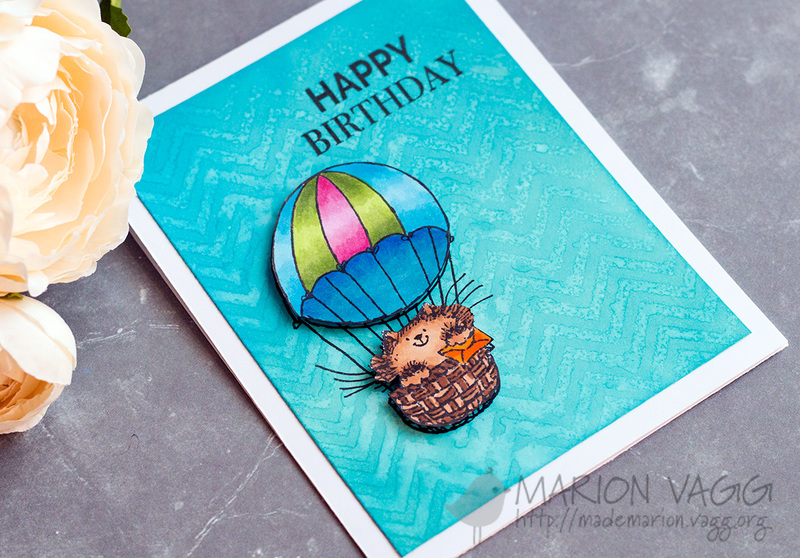 I’ve switched gears today and have opted for a cute furry critter over the florals, and it’s from the Happy Critters stamp set. 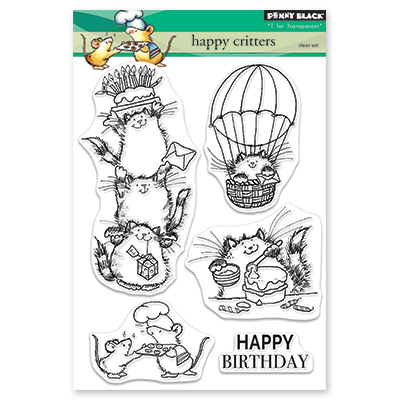 Who doesn’t love those Penny Black kitty cats? I stamped and coloured the image with Copic markers and then fussy cut around the balloon and the cat. The background was created by blending some Salty Ocean Distress Oxide ink heavily onto some Strathmore Bristol smooth white card stock. I placed the Zigs and Zags stencil over the inked background and spritzed it with some water. After removing the stencil, I heated it with my heat gun quickly. 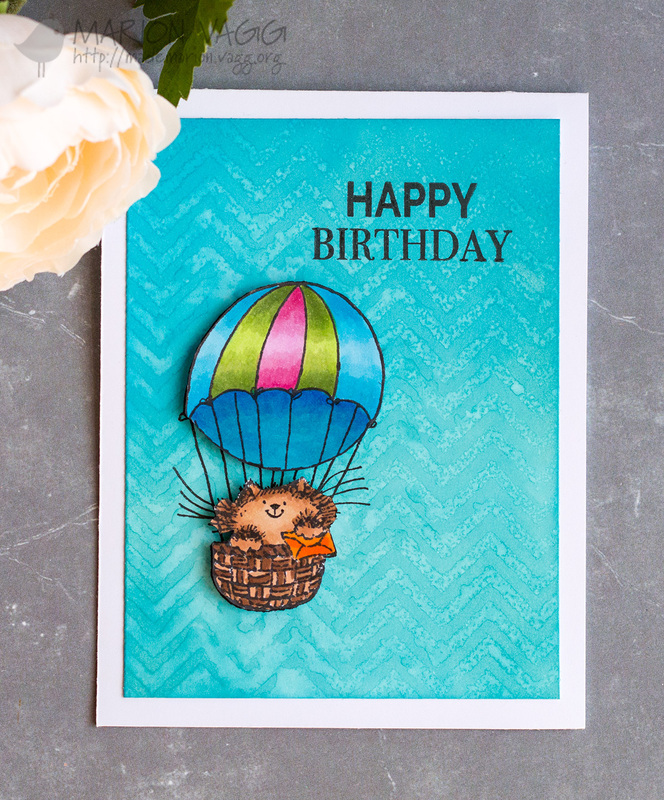 Once the background was completely dry, I stamped the cat in the hot air balloon again, directly onto the background as well as the sentiment, also from the same set. I popped up the cat and the balloon with 3D mounting foam to give it some dimension. Thanks for joining me. I’ll be back again tomorrow. 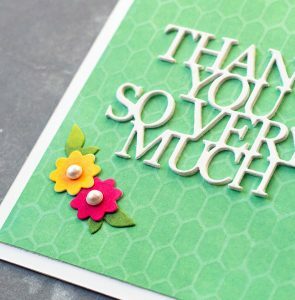 Just popping in quickly to let you know that I have a card over on the Simplicity at its Best blog. 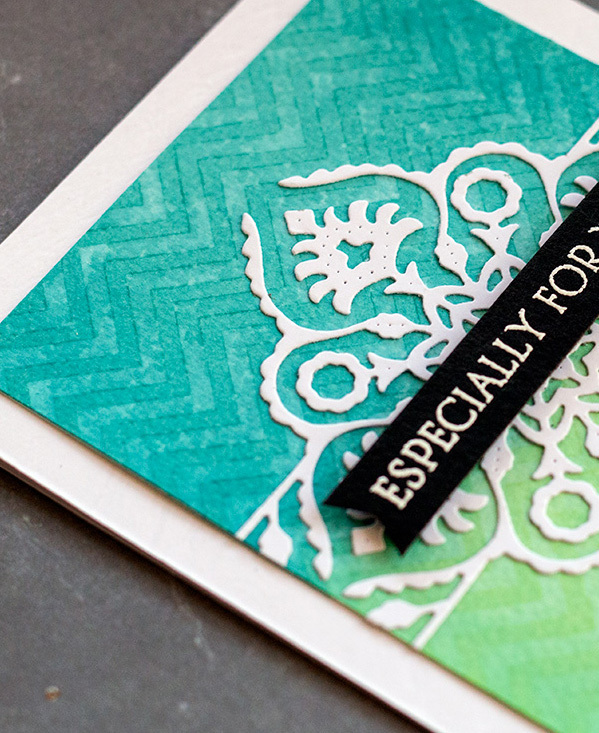 I’ve used a stencil, an intricate die cut and Distress Oxide inks – a match made in heaven.